There is something so perfect about this Key Lime Pie with Whipped Cream and Lime Zest; especially if you are a lime lover like I am. This pie makes the perfect addition to your Summer Barbecue plans; easy, fresh, and so delicious! I think the first question asked of me when I mentioned I was going to make this pie is, “What exactly are Key limes and how are they different from ‘regular’ or Persian limes?” I was going to take a photo and show you but ahem, I misplaced the limes I had planned to use for the photo. I found them this weekend in the laundry room; oh snap…yes I did go to change out the laundry on the way to my studio and put them on a shelf and forgot them so, well, the rest is history. Hard as a rock and no longer photogenic so I’ve borrowed am image from someone else! First and foremost, the original Key lime trees were decimated by a hurricane in the Florida Keys in 1926 and as the islands recovered, people resorted to planting the sturdier Persian limes most of us know. Some people might be lucky enough to have a real Key lime tree in their backyard but for the most part, the limes now labeled as Key limes that you find at the local grocery have come from either California or Mexico and are often rock hard. Not surprising, because they are so small, I’ve found that when I do decide to use them that I had better be ready to juice them that day; they dry out very quickly. And juicing is slow and tedious. I use an electric juicer and that little baby lime just barely fit around the part that is supposed to burrow into the flesh of the fruit. It took about thirty of those little buggars to get the amount of juice I needed! To be honest? Don’t be like Barb; I wanted to do it and now that I have I’m going to recommend you use the standard grocery store variety Persian limes. I don’t think the difference supports the need to find them and spend so much time juicing them; if there is any difference at all. Also don’t expect the green you might have seen in prepared pies. Lime juice is not green without food coloring; I kept this pie au natural and then garnished it with a bit of green. Much better! 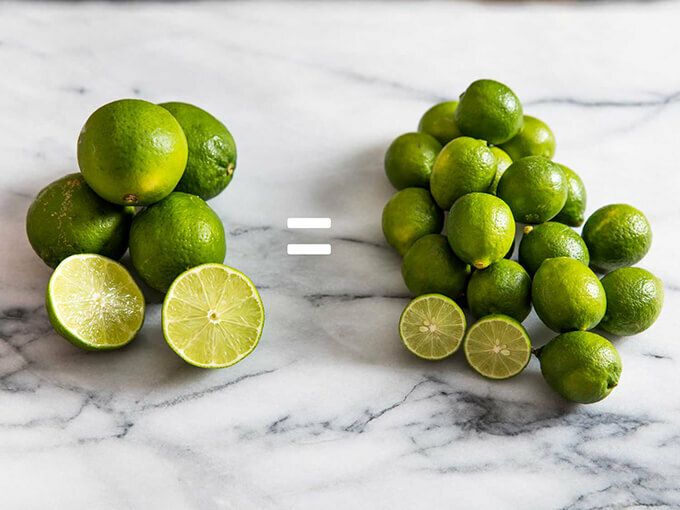 Supposedly Key limes are a bit sweeter than Persian limes and you might be tempted to balance that change with more sugar. I find the difference so minimal and I personally love the tartness so do a quick taste test of the filling before deciding more sugar is necessary. I subbed out a bit of the lime juice for lemon juice though; that mixture works beautifully for my favorite Fresh Margarita so I went the same direction and this pie was fabulous. 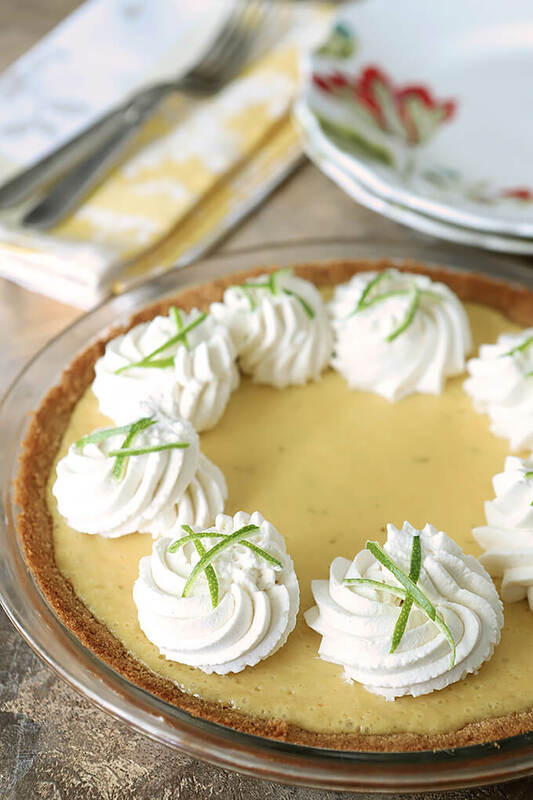 There are some Key lime pie afficionados in Florida who insist that meringue is the only topping for a Key lime pie but considering the history of the pie, I have a difficult time believing that someone hand whipped a meringue in the middle of a humid summer and had much success. Besides, I prefer the balance of cool whipped cream with a hint of zest for garnish. My neighbor Casey wasn’t feeling well the other day; he has a history of killer migraines and he was recuperating from one. I had called his house in search of a lime; I thought I had saved one for garnish but apparently not and while Amy said there were no limes in the house, she did mention that Casey just loved Key Lime Pie. I’m hoping the pieces I sent over when it was completed were what he needed to feel better. I had wrenched my back the day before and I know I was going to use that excuse for devouring two slices myself! This Key Lime Pie with Whipped Cream and Lime Zest is the perfect Summer Barbecue Dessert; watch it disappear! Welcome to Progressive Eats, our virtual version of a Progressive Dinner Party. Each recipe in our menu this month features foods for a Summer Barbecue. This month it’s my turn to host Progressive Eats and I decided to make it all about foods for a Summer Barbecue; in this list there is bound to be something for everyone. Several somethings as a matter of fact! Pulse graham crackers, sugar, and salt in a food processor until fine crumbs form. With the motor running, drizzle in melted butter and process until well-combined. Transfer mixture to pie pan and press into bottom and up sides with a flat-bottomed measuring cup. Whisk condensed milk and yolks together in a large bowl. Add lime and lemon juices and whisk until well-combined (mixture will thicken slightly). When ready to serve, whip cream with a whisk or electric mixer to very soft peaks. Sprinkle powdered sugar over cream and continue whipping until it holds stiff peaks. Dollop or pipe whipped cream around edges and garnish with lime zest. Pie (without whipped cream topping) can be made, loosely covered, and chilled for up to 2 days. They have a romantic notion don’t they that isn’t realized in practicality. We could have Key lime pie and margaritas, both great examples of combining their pucker power! This looks amazing, Barb! 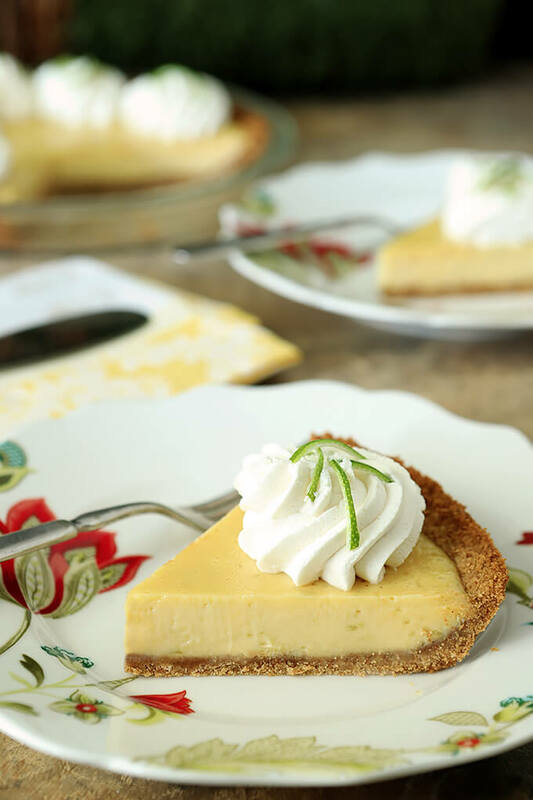 Key lime pie is one of my favorites and it’s so perfect for summer! I’m not much of a baker but this looks easy enough even for me to make! Oh my goodness this pie is gorgeous! So sorry about your missing limes, and I hope your neighbor enjoyed his slice! Thanks for all of the info regarding key limes! Oh, I adore key lime pie! And I agree that whipped cream is the best choice for it. When we go to Orange Beach, AL every February my Dad always has to pick up some key lime pie. I don’t know why I’ve never just made it for him. Going to try your recipe! My favorite pie! When we lived in Florida we tried to grow a Key lime tree, but just couldn’t — too cold in Tampa, where we lived. So we usually used Persian limes, too. If you really want to use Key limes, just use the bottled juice — MUCH easier. And we usually saw whipped cream toppings on pies there, too — although definitely saw some meringue ones. Anyway, this looks terrific. Thanks! The absolute best way to finish off our wonderful BBQ meal Barb. Seriously beautiful and light but packed with flavor. Perfection!! OK. Key Lime Pie is absolutely one of my favorites! I’m saving this to make for my next summer party. It will be a huge hit! I hadn’t made one in a long time and now wondering why because they’re are so simple and everyone loves them…I’m sure your guests will too! One of my absolute favorite pies, Barb, and yours is perfection! I wish you could ship me a slice! !